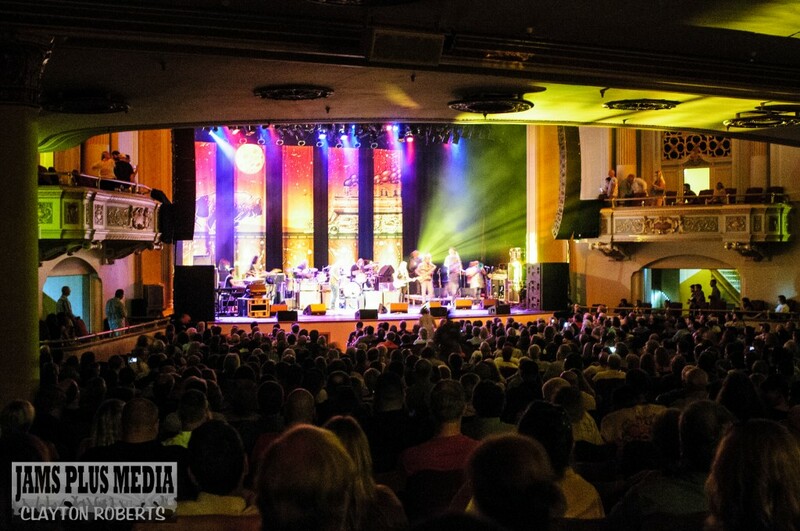 The Saenger Theatre in Mobile, AL kicked off its 2014 Fall season in exquisite fashion on Thursday September 11, welcoming Tedeschi Trucks Band to their stage. 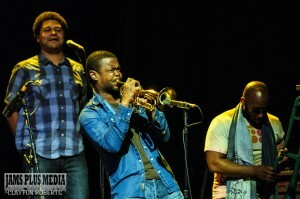 The Grammy Award-winning band brought their lively eleven member ensemble to entertain and inspire a near-capacity crowd. The evening began with a fabulous group of musicians near and dear to the heart of Mobile, Ryan Balthrop & Friends. 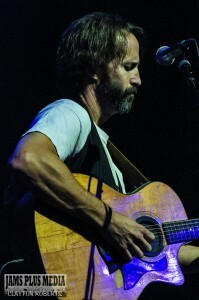 For readers who are not familiar with this singer-songwriter, his eclectic acoustic guitar-based style encompasses everything from soothing grooves to dirty rockers, and his lyrics are often cleverly smart with unabashed truth. On this night, his “Friends” included Jon Cook (guitar/vocals), Blake Nolte (saxophone/vocals), Winter Baynes (drums), and Marc Hendrix (bass); and the band sounded polished and pristine throughout the set. 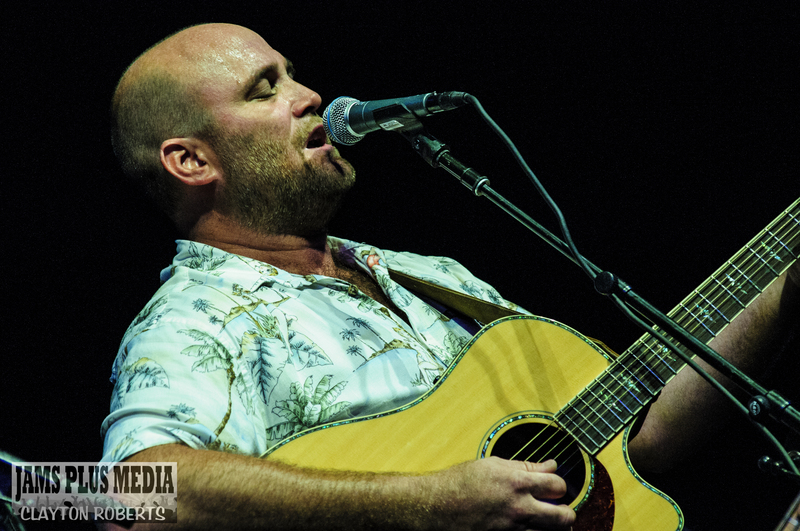 The opening “Way Down Low” and “Moments (We’re Passing Through)” featured Ryan Balthrop’s smooth voice and an easy feel, while “Nature of the Beast” brought his voice out to a sultry growl. His guitar provided melody, while Jon Cook provided guitar flourishes and intricate fretwork on top. The gentle bounce of “Runaway Train of Thought” makes for a really fun song, and Ryan dedicated a sweet song to his new wife Kelli, “Two Less Fish(es in the Deep Blue Sea). A rocking set highlight was “St. John Revelations”, with high intensity groove. Keep an eye on Ryan Balthrop and his Friends: their musicianship is sure to take them far! After a brief intermission, Tedeschi Trucks Band entered the stage flanked by a gorgeous backdrop based on the artwork from their newest album Made Up Mind. 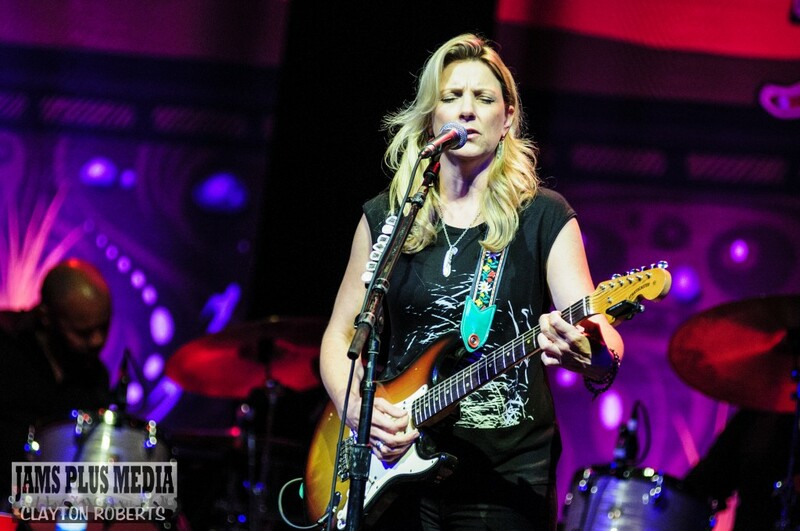 A thick heavy groove set in with “Misunderstood”, with Susan Tedeschi beautifully crooning the vocals as well as laying down a smoldering guitar solo on her Fender, in answer to her husband Derek Trucks and his Gibson SG. The soul-driven blues waltz of “Do I Look Worried” gave space for Derek to demonstrate the magic he works with a slide, and it was incredible. Kofi Burbridge alternated between keys and flute throughout the night, and “All That I Need” featured some splendid play between his flute and the guitars, as well as exceptional collaboration between drummers Tyler Greenwell and JJ Johnson. Susan introduced “It’s So Heavy” as being written by the talented Sonya Kitchell, but Susan sang from deep in her soul as if it were her own. Vocalist Mike Mattison took the lead on “Don’t Miss Me”, and the dirty struttin’ blues were carried strong as Derek and Susan played off each other, and Kebbi Williams’ saxophone wailed. “Part of Me” is perhaps one of the happiest feel-good songs off Made Up Mind, and makes full use of the brass in the band with trumpet from Maurice Brown and trombone from Saunders Sermons, as well as harmonizing vocals from Mike Mattison and Mark Rivers. When bass guitarist Tim Lefebvre and Kofi on keys ushered in “Love Has Something Else To Say”, a true groove fest ensued, as each musician was given a chance to shine, while all working together through a mutual respect, building to a fantastic crescendo. Some chairs and acoustic guitars were then brought on stage, giving both band and audience a chance to catch our breath. The classic “Keep Your Lamps Trimmed and Burning” gathered voices and hand clapping around Derek’s guitar, and it felt intimate, like sitting on a back porch during a humid Mobile summer night. Susan Tedeschi’s solo acoustic “Shelter” was heart-rending and immaculate; she is such a beautiful singer. The guys returned for “Crow Jane”, and “Done Somebody Wrong” completed the acoustic interlude. The full band launched back into rock mode, delivering an exclamation point with a cover of George Harrison’s “Wah Wah”. Then dreamy sounds drifted off the stage, driven by Susan’s stunning voice and Derek’s completely gorgeous guitar. 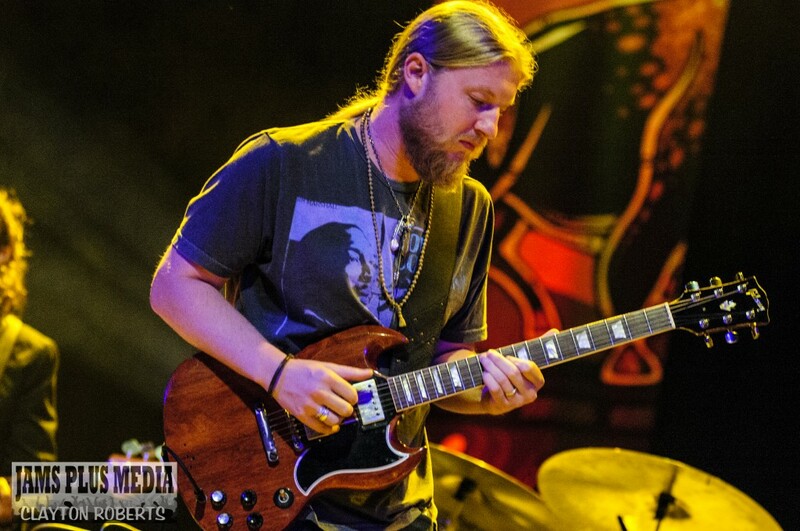 For me, “Midnight In Harlem” featured Derek Trucks at pinnacle performance, as he let his soul drip from his guitar strings, with point-on phrasing and warm tones. The band kept bringing it, with “More and More” raising the energy through the roof, and “Bound For Glory” thrilling the crowd to close the set. As the crowd continued to clap and cheer, an awesome encore was granted with a cover of Derek & The Dominos’ “Keep On Growing”. 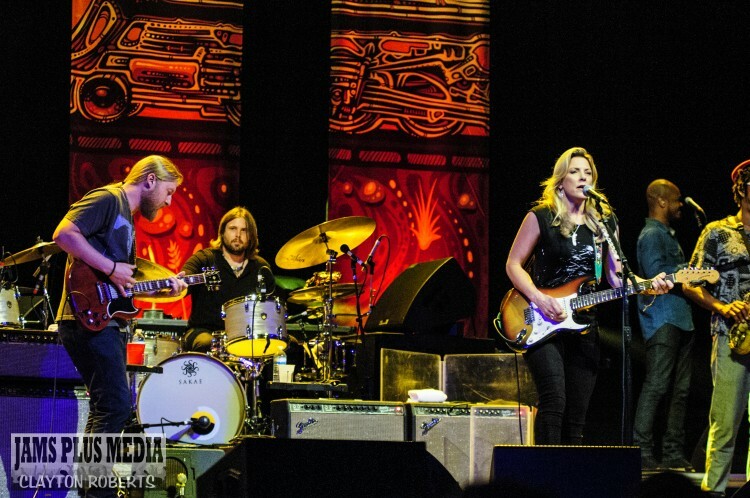 Throughout the show I was thoroughly impressed by the truly collaborative nature of Tedeschi Trucks Band; they are a collection of musicians who listen to each other, respect each other, and work together to create a wonderful experience for all. 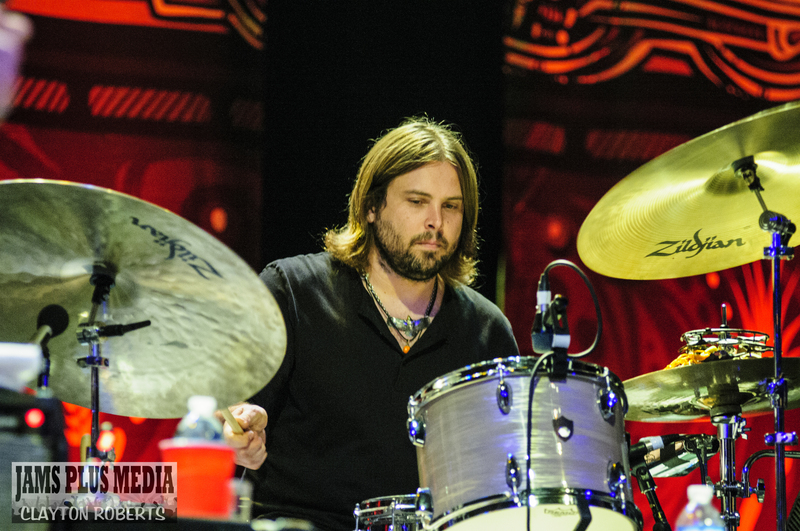 Tedeschi Trucks Band, along with Ryan Balthrop & Friends, gave the Mobile Saenger audience a magnificent night of music. And the Mobile Saenger Theatre promises to continue delivering top-notch concerts for the remainder of 2014, with upcoming shows to include Black Jacket Symphony performing Fleetwood Mac’s Rumours (9/19), Bela Fleck & Abigail Washburn (10/17), Lyle Lovett and His Acoustic Group (10/21), and Ray LaMontagne (10/28) among others. Be sure to support these fine acts as they come to Mobile, as it’s sure to keep the music coming around!